Once you start trying to compare apples to apples with regard to Massachusetts homeowners insurance, it can be a bit overwhelming. Learning about all of the different types of coverage and options for home insurance in Fall River can be a real headache. It pays to work with an insurance agency in Fall River that can help you to navigate all of the industry language and make sure you get the best deal. Your Fall River insurance agent at Paul Sullivan Insurance Agency can show you the options available in your area to ensure adequate coverage to satisfy lender requirements and state law. They can also help you learn about additional riders and policies that can be used to provide you with the best home insurance in Massachusetts. If your only objective in learning about home insurance in Fall River is to get the lowest premium possible, then just let your agent know that up front. However, if you want to make sure that your home and assets are fully protected in the event of a disaster, accident, or other covered incident, your Fall River insurance agent can help you navigate your options. The goal of Massachusetts homeowners insurance should be to provide you with the funds to rebuild your home, replace belongings, and offset any costs associated with sheltering your family during the rebuilding process. It should also protect your financial assets with regard to liabilities to others, such as an individual who gets injured on your property. A professional insurance agency in Fall River can make sure you have the coverage and amounts that you need to achieve your goals. A standard homeowners insurance policy provides basic coverage for common disasters, such as fires, hail, lightning, and explosions. If you live in an area where the risk for earthquakes, flooding, and other specific issues are common, you will want to make sure that the policy provides a high enough payout to cover the cost of rebuilding your home in these situations. Remember, the limit of your policy is based on your mortgage according to the requirement of the bank or lender. 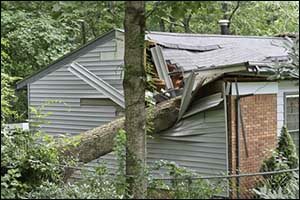 If costs for rebuilding your home increase, you might not have enough coverage to pay for it entirely. Work with your Fall River insurance agent to make sure that you have adequate coverage to protect your interests, as well as the interests of your lender. Some of the factors that must be considered include local construction costs, materials costs, and the overall square footage of your existing home. It is a good idea to get in the habit of working with your insurance agency in Fall River to go over your policy coverage at least once each year. Update your agent about any changes that have been made, such as upgrades that might increase cost needs for your policy. Switching out basic laminate countertops to granite or updating appliances to high-end models should require you to up your coverage. New furniture, large screen televisions, advanced electronics, and expensive musical instruments are all things that should be photographed, cataloged, and reported to your agent. You don’t need to wait until your annual meeting to report major renovations or remodeling, just contact your agent to discuss home insurance in Fall River to make sure you have the best home insurance in Massachusetts. Another area that should be considered when discussing Massachusetts homeowners insurance is whether your home is currently “up to code” or not. Building codes update and change occasionally and a home that is ten years old or more might require changes to be made. For homes that are twenty years or older, consider getting an inspection to ensure that everything is done according to local requirements. Ask about endorsements that can be added to your policy that would provide for upgrades to be made during repair or rebuilding to a home that might not be up to current building codes. Features that might be hard to replace, especially for older homes, should also be discussed with your Fall River insurance agent and included in additional coverage options. If you are interested in learning more about our options for Massachusetts homeowners insurance, give us a call at 508-678-9611. Our agents can answer any questions that you might have about home insurance in Fall River and anywhere else in the surrounding area. Our goal is to help you find the best home insurance in Massachusetts to meet your needs and budget. 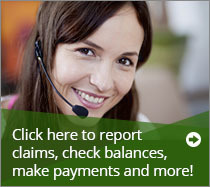 Call today for a FREE QUOTE on any of our personal or business insurance policies. ← Fall River Car Insurance: Are Your College-Aged Kids Covered?